This didn’t impress me too much because I don’t use heat on my hair, so I couldn’t give a review on the heat protectant spray. I already constantly purchase the Garnier micellar water because it’s awesome! I have Sinful colors nail polishes, they’re good! And who doesn’t love chocolate?! 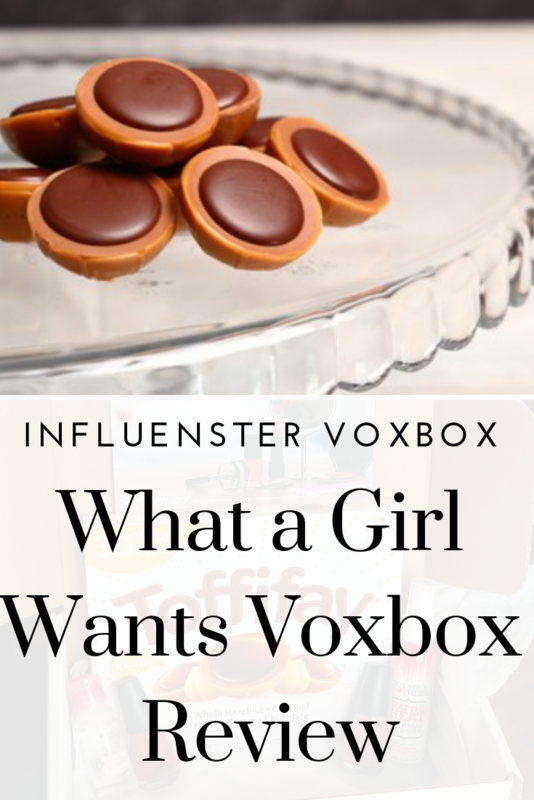 Well, let me tell you!This is probably one of my favorite Influenster boxes to date! I’m not sure it beats the Dr. Brandt box (I reviewed it and I STILL use their products! Check out the review here). So since I already spilled the beans about my thoughts on the micellar water and nail polishes, and I can’t comment on the heat protectant, lets get to the chocolates. The Toffifay chocolates were literally the best things ever! I destroyed the whole box in 3 weeks, I checked in store and they retail for about $5 (give or take, and factor in some taxes), and I’d gladly pay $5 for them. The box is deceiving because there are 2 boxes inside the initial box. As a chocolate-lover, the more the better so I was super happy that the whole package had 30 pieces of chocolate and they didn’t break the bank in terms of calories. If you didn’t know, I’m down 50 pounds and continuing on my weight loss journey. So I need calorie-friendly options when it comes to chocolate. Read about my weight loss story here. Anyway, 4 of these chocolates are only 170 calories – and 4 pieces is all I needed. The chocolates are a whole hazelnut inside a hazelnut filling, which is inside a chewy caramel shell, with a little bit of chocolate on top. It’s amazing! You have to try it! Regardless, this whole Influenster box was unexpectedly great! I shouldn’t have dragged my feet on writing this review, but oh well! Life happens!